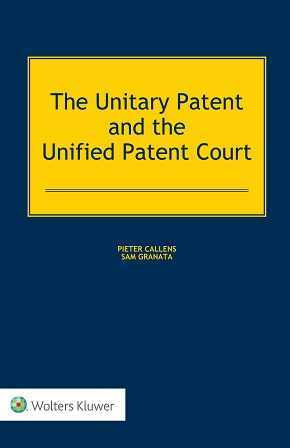 The Unitary Patent and the Unified Patent Court discusses the legal texts regarding the Unitary Patent and the Unified Patent Court (UPC). In 2013, twenty-five Member States of the European Union decided to take European patenting and patent enforcement to the next level. They agreed on a common patent title and a common patent court, i.e., the new Unitary Patent and the UPC. However, the implementation phase of the new patent package was a bumpy ride – non-participating Member States attacked the legal texts before the European Court of Justice, the Rules of Procedure of the UPC were subject to extensive debates, the Brexit referendum slowed down the ratification process, etc. Nevertheless, the unitary patent package survived. The exact date when the UPC will open its doors and the first Unitary Patent will be registered is still unclear. But observers agree that both projects will most likely become operational in 2018. From that moment on, companies, research institutions and individuals will be able to obtain not only a patent title with immediate effect in twenty-five EU Member States but also a court decision on, for example, infringement or validity of a European or Unitary Patent with effect in the participating Member States. neutral approach to the new rules (describing both pros and cons). As a comprehensive analysis of all aspects of the new patent and enforcement system, this book serves as a handbook for all practitioners (with or without prior knowledge of the new system). For its deeply informed insights into the expected practical functioning of this revolutionary new patent and litigation system, this work is a peerless contribution that ensures the most effective practice as this new regime begins and is a must-read for anyone involved or interested in European patenting.